Stars Hollow dreams really do come true: Gilmore Girls is getting a limited-series revival at Netflix. Noted Gilmore head Michael Ausiello broke the news over at TV Line, saying that he’s heard all the show’s major players—Lauren Graham, Alexis Bledel, Kelly Bishop, and Scott Patterson—are in for the series, which will be a continuation of what happened after the series ended. As to whether Melissa McCarthy, Milo Ventimiglia, Sean Gunn, and so on will return is still unknown, though it seems like it wouldn’t be much of a Gilmore Girls reunion without Kirk. 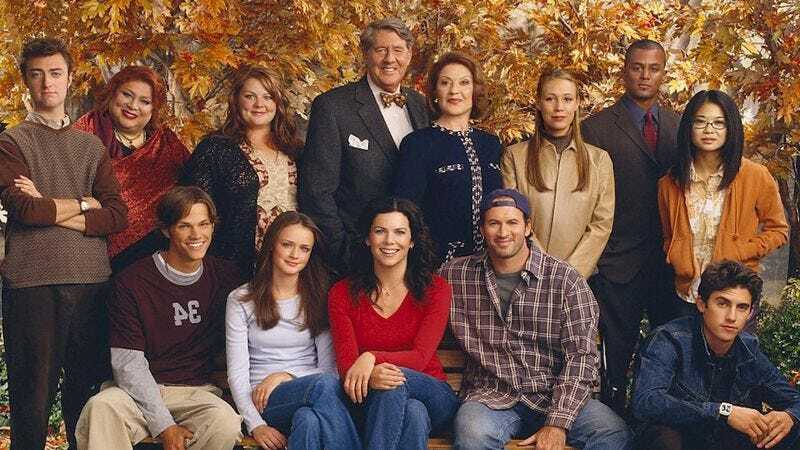 Ausiello reports that he’s heard from multiple sources that Gilmore Girls 2.0 will consist of four 90-minute mini-movies for the streaming service, all of which will be penned by series creator Amy Sherman-Palladino and executive producer Daniel Palladino. As the TV Line piece notes, the Palladinos’ involvement should be interesting, considering they weren’t involved in the final season of the show, which Sherman-Palladino said in 2009 she’d never even watched. She did admit at the time that she’d heard about it, but said that what happened on the show didn’t match up to her vision of life for Lorelai and Rory Gilmore. The Netflix revival could, in theory, give her a chance to fix that, though whether she’ll start from where the show’s final season ended or just go back to where she ended things is anyone’s guess. Either way, new Gilmore Girls!